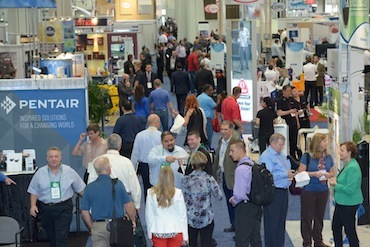 With a sold out exhibit floor and the highest attendance in nearly a decade, ISSA/INTERCLEAN North America 2015 was truly a trade show to remember. Co-produced by ISSA and its trade show partner, RAI Amsterdam, the event attracted 16,311 attendees to the Las Vegas Convention Center from Oct. 20-23. Jan/san distributors, in-house service providers and the most building service contractors the show has ever seen packed the exhibit hall aisles and education seminar rooms. Of the 729 exhibitors, 126 were new to the show. Also new to ISSA/INTERCLEAN was an outdoor exhibit space where visitors could see demonstrations, grab a bite to eat from a food truck, or take a selfie with some vintage cars and celebrity lookalikes. This year, four industry groups held their annual conventions in conjunction with ISSA/INTERCLEAN: the Association of Residential Cleaning Services International (ARCSI), Building Service Contractors Association International (BSCAI), Cleaning Trade Equipment Association (CETA) and IEHA. Many supporting associations throughout Europe, Africa and Asia-Pacific also participated in this year’s show, and there was a strong showing from buying groups and their key members. 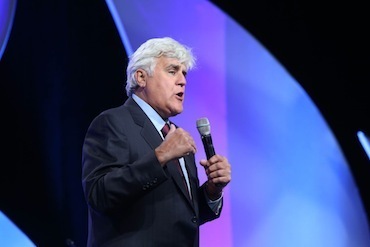 Arguably the most anticipated event of the week was former “The Tonight Show” Host Jay Leno’s keynote speech. The comedian didn’t disappoint the crowd, treating the massive audience to an hour-long stand-up performance. For the second year, the ISSA Excellence Lunch closed the show, this time with “Shark Tank” Host Kevin O’Leary presenting “How You Can Be A Successful Entrepreneur At Everything You Do” to a standing-room-only crowd. O’Leary finished his presentation by announcing the winner of the ISSA Excellent Idea Contest, Teresa Ward, of Teresa’s Family Cleaning, and her partner, Maria Reitano, for their multipurpose utility apron made of a comfortable, durable, easy-to-clean material that is both effective and economical. During the lunch, ISSA also recognized several award winners. 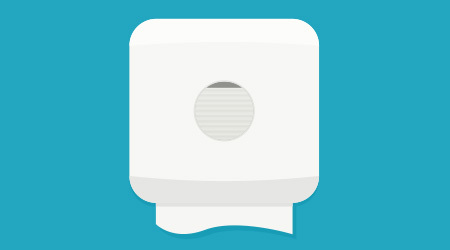 The ISSA Innovation Award Program featured 39 products and services from cleaning manufacturers and service providers. Distributors, wholesalers and end users voted online prior to the show to determine winners in five categories. Clorox Commercial Solutions Clorox Disinfecting Wipes from Clorox Professional Products Co., won in the Cleaning Agents category; Compact ActiveAire Dispenser from Georgia-Pacific Professional and Battery-Free Dispensing from Rubbermaid Commercial Products, Inc., were co-winners in the Dispensers category; Battery-Powered Auto Vac from Kaivac, Inc., won in the Equipment category; CompuClean Mobile from Spartan Chemical Co., Inc., won in the Services and Technology category; and Scotchgard Surface Protection Film from 3M Commercial Solutions Division won in the Supplies category. In addition, all nominees were on display in the Innovation Showcase area and attendees then voted to determine these five additional Visitors’ Choice award winners: Compact ActiveAire Dispenser from Georgia-Pacific Professional; Branding from CleanTelligent; i-cart Cleaning System from Ultimate Solutions, Inc.; and TASKI Intellibot SWINGOBOT 755 by Intellibot Robotics and TASKI swingo 2100µicro Microrider/Machine both from Sealed Air Diversey Care. ISSA/INTERCLEAN North America will next travel to Chicago and take place at McCormick Place South Hall, Oct. 25-28, 2016.